Miele offers a variety of specialized laundry detergents and fabric softeners, each uniquely designed to meet your individual laundry care needs. Whether you are in need of powerful cleaning results with gentle fabric care, reliable color protection or sensitive formulas, Miele provides the optimal cleaning solution. Henkel, the manufacturer of Miele’s Cleaning Essentials is headquartered in Düsseldorf / Germany, has about 55,000 employees worldwide and counts among the most internationally aligned German-based companies in the global marketplace. 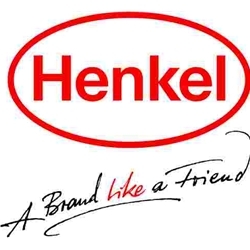 People in approximately 125 countries around the world trust in brands and technologies from Henkel. Laundry & Home Care has always played an important role for Henkel: The Company’s success story started with a product from this business sector. Henkel brand names have become an integral part of their daily lives. Henkel’s Laundry & Home Care business sector enjoys leading positions on a worldwide scale.